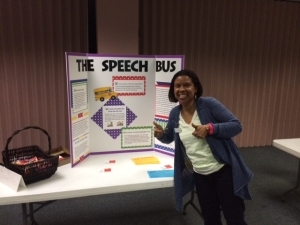 The Speech Bus team has been busy recently. We had a booth at the Family Easter Fling on April 4th at the Coliseum Fairgrounds. 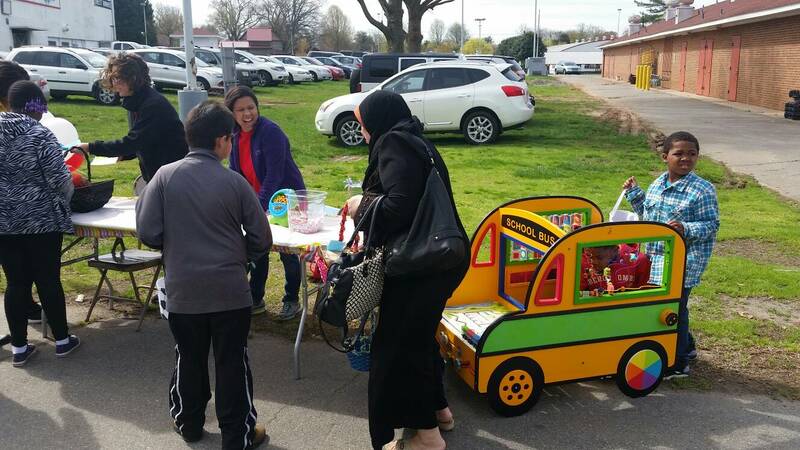 We were busy handing out information, talking with interested parents, and playing games with the kids. Thank you to the Winston-Salem Recreation and Parks Department for their continued support. Here are some pictures of all the fun that was had. This past Friday, April 24, the CDSA (Children’s Developmental Services Agency) held their annual provider fair from 8:30am to 3pm. The Speech Bus had a table there and it was busy! Lots of flyers were distributed to very interested parties. The CDSA provides early intervention services to children birth to 3 years old. For more info on them, visit their website at www.brennerchildrens.org/CDSA. Below is a picture of Chanel at the booth. We did get another HUGE donation from Kohl’s–books and stuffed animals. Again, we are so grateful to all the support Kohl’s has offered us already. Huge thanks to Tammy O’Brien for keeping us stocked with materials! Thank you Kohl's!! We keep going and going and going!